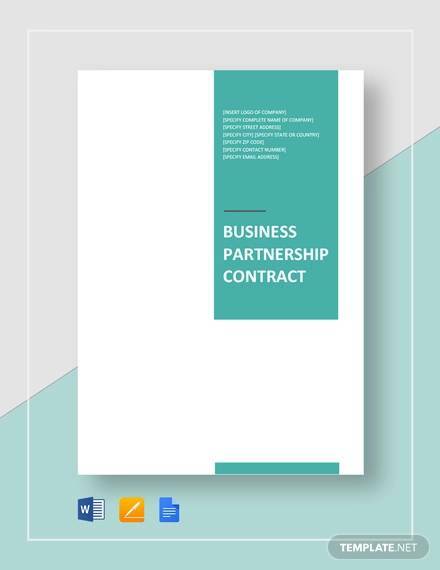 Partnership contracts are a type of contract that is used as a means of forming new and larger organizations by allowing for the combination of a new organization. 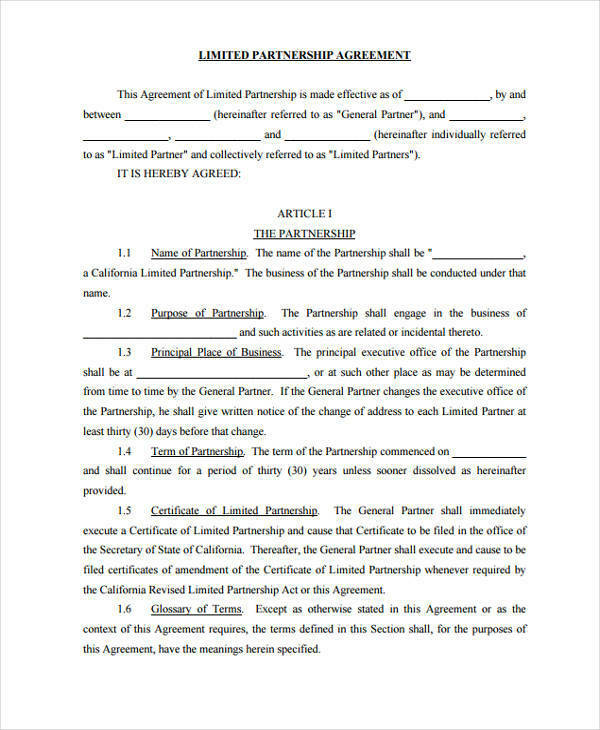 The exact elements of a contract of the partnership are that it requires the mutual agreement of both organizations to confirm and notarize the document for legal purposes. 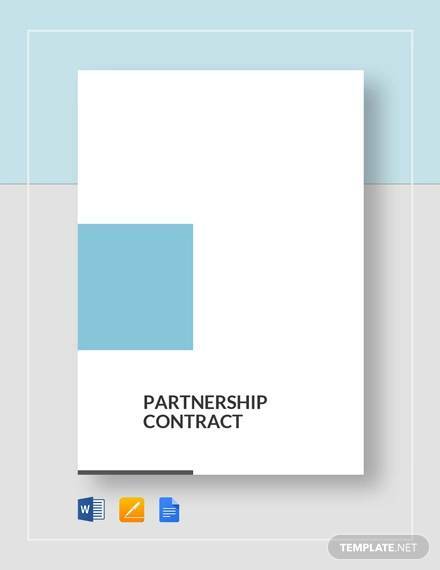 Now, a partnership contract is another example of a contract or agreement in which the two parties involved have a mutual understanding of the what is being agreed upon and are satisfied with the content of the contract and are willing to sign the said document. What Are the Essential Elements Necessary to Form a Valid Contract? Scope and Limitations – This portion simply defines that the content of the contract should contain the agreement and the actual offer, in which the two parties will decide if it is fair. Acceptance – This element pertains to the mutual agreement of both parties to dutifully carry out the examination and reviewing of the contract. This will lead to some conflict, but the main purpose is to identify flaws and remove or improve them. Mutual Obligations – Both parties, when done reviewing or examining the document, should begin to agree on what tasks or obligations they each must undergo. 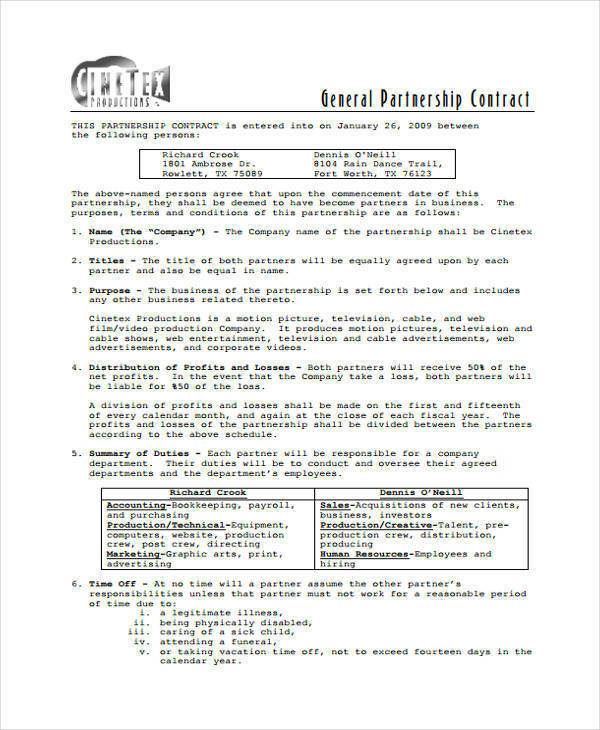 What Is a Limited Partnership Company? Limited partnership companies are a form of company in which there are two partners during the formation of the company. However, rather than letting both parties have equal managing rights to the company, one of the partner would buy out the other partner’s rights. The partner who had his rights sold will still be able to draw income from the company but has no say in any managerial decisions. 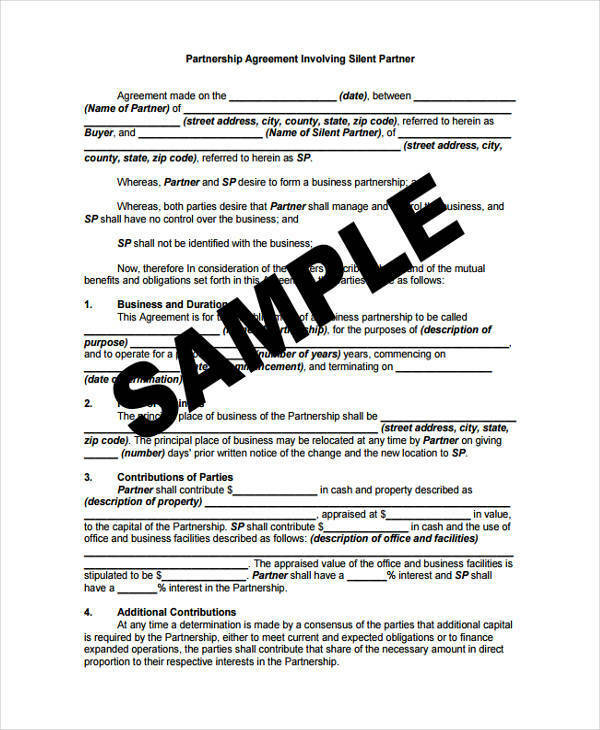 In these cases, a Partnership Proposal Letter would be needed before forming and using a partnership contract. 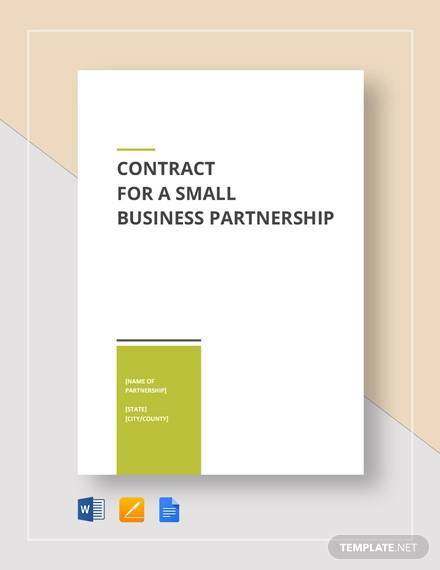 What Are the Advantages of Having a Partnership Contract? 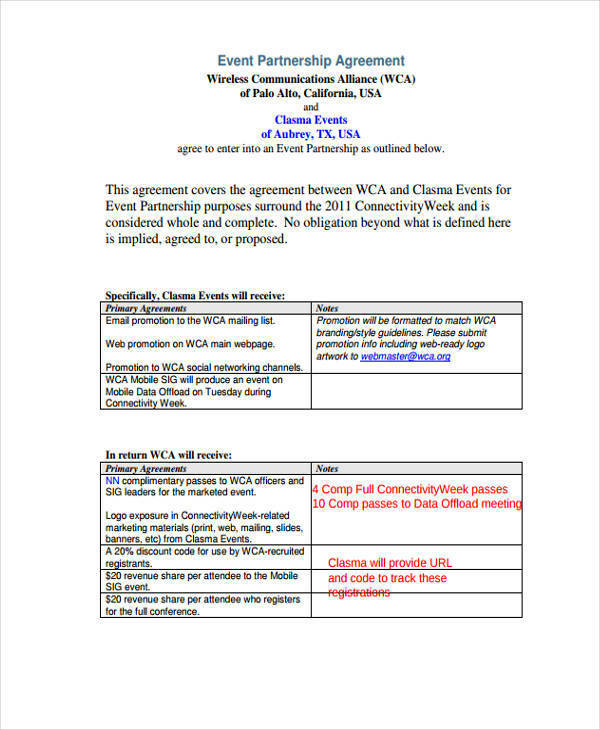 A partnership contract can give you some legal leg room during business negotiations and dealings. 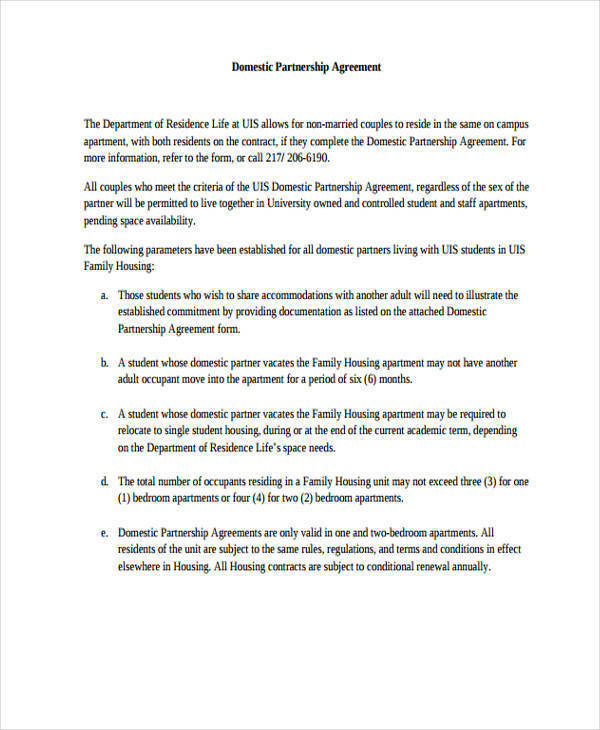 This contract would allow you to state the terms of your partnership, ensuring equal rights to both partners. A partnership contract would allow for the combination of two companies, thus making it larger and more productive in the long run. Having access to more resources, which would allow for the production of more products and the increase of its production speed. Both partners would be required to share their marketing strategies in order to develop a new one.